The Akwa Ibom State Governorship Elections Petitions Tribunal sitting in Abuja yesterday ordered the Independent National Electoral Commission (INEC) to move all the materials used in the April 11, 2015 governorship election in the state to its headquarters in Abuja for inspection. 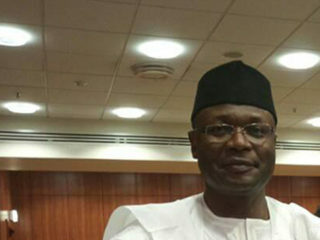 Chairman of the tribunal, Justice Sadiq Umar made the order sequel to an application by the petitioners, the All Progressives Congress (APC) and its gubernatorial candidate, Umana Okon Umana to that effect. The petitioners made the request for the material to be moved to Abuja to enable them inspect same. At the resumed hearing of the matter yesterday, the petitioners asked the tribunal for extension of time to enable them inspect the election materials, as they claimed they were not made available to them by the electoral body to enable them challenge Udom Emmanuel’s victory. Following the tribunal’s directive on the movement of the election materials to Abuja, it also directed that security agencies should ensure adequate security of the materials during movement and inspection by the petitioners. 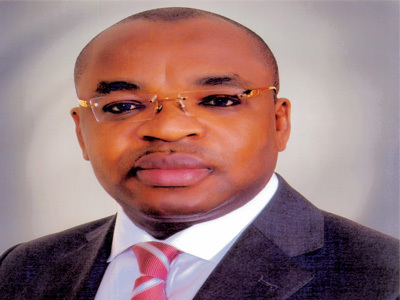 The petition filed before the tribunal by Chief Wole Olanipekun (SAN) on behalf of the petitioners is challenging the election victory of Udom Gabriel Emmanuel of the Peoples Democratic Party (PDP) in the April 11, 2015 governorship election in Akwa Ibom State. The tribunal declined the oral application for the striking out of the name of the governor from the petition and ordered the governor, who is the first respondent to file and serve his process yesterday and adjourned further hearing of the matter till today. Governor Udom Emmanuel, who had challenged the relocation of the tribunal from Uyo to Abuja through his lead counsel, Chief Adegboyega Awomolo (SAN) told the tribunal that it had no jurisdiction to determine the outcome of the 2015 governorship elections in Akwa Ibom State. Following the April 11, 2015 elections, the APC had rejected the result declared by INEC, which proclaimed the PDP candidate, Udom Emmanuel, winner. 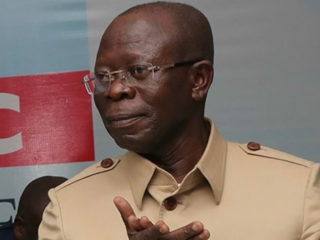 In its petition, the APC had alleged, among other things, that the election was marred by widespread electoral malpractice, disenfranchisement of its supporters and a declaration of votes for the PDP in virtual violation of INEC provisions that required that all votes cast be duly accredited. Since the tribunal commenced sitting on the petition, the APC has continued to cry foul that both the INEC and PDP in the state have consistently frustrated their attempt to pursue justice. 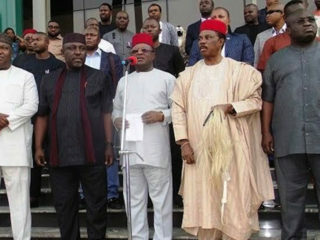 Preliminary hearing had commenced in Uyo before the parties were informed that the tribunal had been relocated to Abuja, a move the respondents are challenging. Justice Sadiq Umar had earlier affirmed the tribunal’s commitment to ensuring that all the parties were treated fairly and for justice to be done.